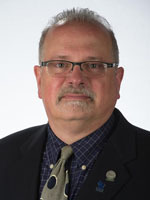 Gary Brown is a licensed landscape architect who is responsible for interpreting, updating and recommending methods of implementing the Campus Master Plan; provides detailed area physical development plans; provides professional landscape architecture services for the campus; participates and leads special studies related to land use plans, building massing studies, transportation plans; coordinates signage and wayfinding; coordinates municipal zoning approvals; works with neighborhoods and special interest groups, and participates in joint University/Community planning efforts. Mr. Brown is also currently serving as the Wisconsin Chapter representative on the national American Society of Landscape Architects’ Board of Trustees. 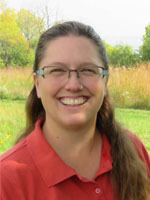 Laura Wyatt works cooperatively with the director in creating work plans, budgets, and grant proposals and manages day-to-day operations of the Lakeshore Nature Preserve. She has a M.S. 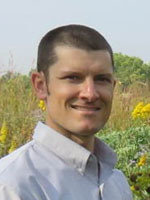 in Horticulture with an emphasis on woody plants from the UW-Madison, 15+ years of natural areas management experience and is a certified arborist with the International Society of Arboriculture. Adam Gundlach coordinates land management activities in the Lakeshore Nature Preserve, including invasive species monitoring and control, prescribed fire planning and implementation, and site amenity stewardship. 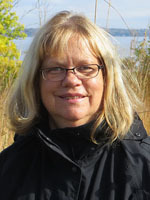 He also assists fellow Preserve staff in facilitating academic use of the Preserve by UW-Madison students and faculty. He has a B.S. in Wildlife Ecology from UW-Madison. Bryn Scriver recruits and supervises volunteers in land management work in the Preserve, performs outreach through the Preserve website, social media sites and electronic newsletter, and provides administrative support to the Preserve Director and the Preserve Committee. She has a M.S. in Land Resources from the UW-Madison Nelson Institute for Environmental Studies and more than 10 years of land management experience.